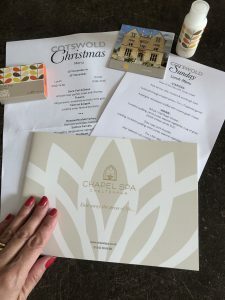 A blogger day out in Cheltenham and a tour followed by lunch at one of the best boutique hotels in the Cotswolds! Absolutely, don’t mind if I do. 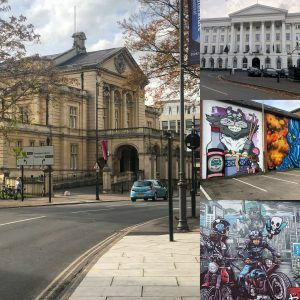 Last month I was lucky enough to take part in a joint event for both Bristol and Cotswold bloggers organised in conjunction with Visit Cheltenham. 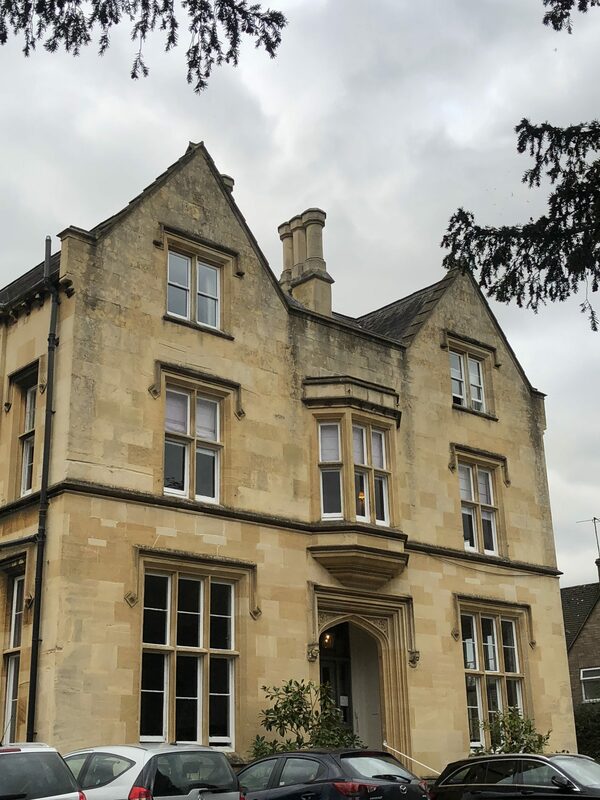 This involved a guided Regency cycle tour covering the highlights of Cheltenham, lunch at the fabulous Cotswold Grange Hotel and a chance to get out there and explore everything Cheltenham has to offer. Unfortunately for my own safety and that of others I was unable to take part in the cycle tour in the morning. Having MS means I’m often unsteady on my feet- or on wheels unless there are four of them- and I frequently wobble around on a day-to-day basis. 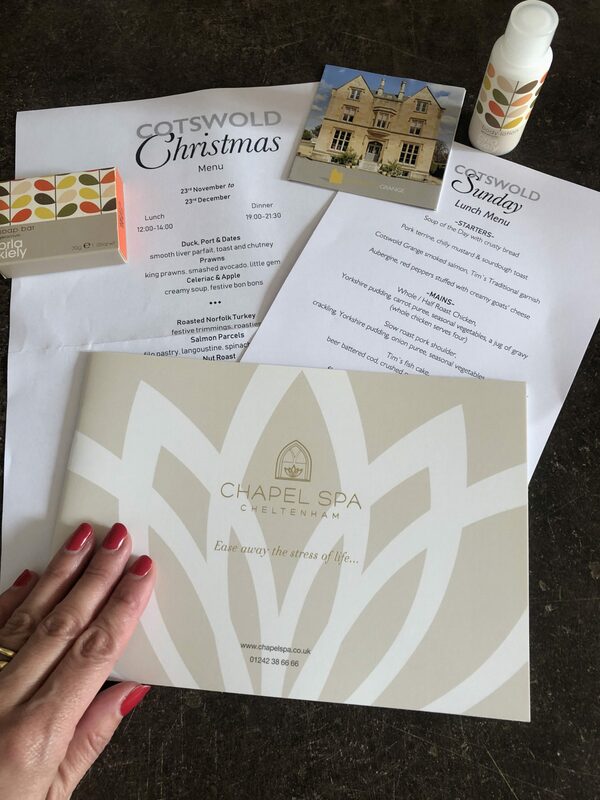 No matter though as I was still able to meet the group at the Cotswold Grange Hotel for lunch and catch up on everything I’d missed. 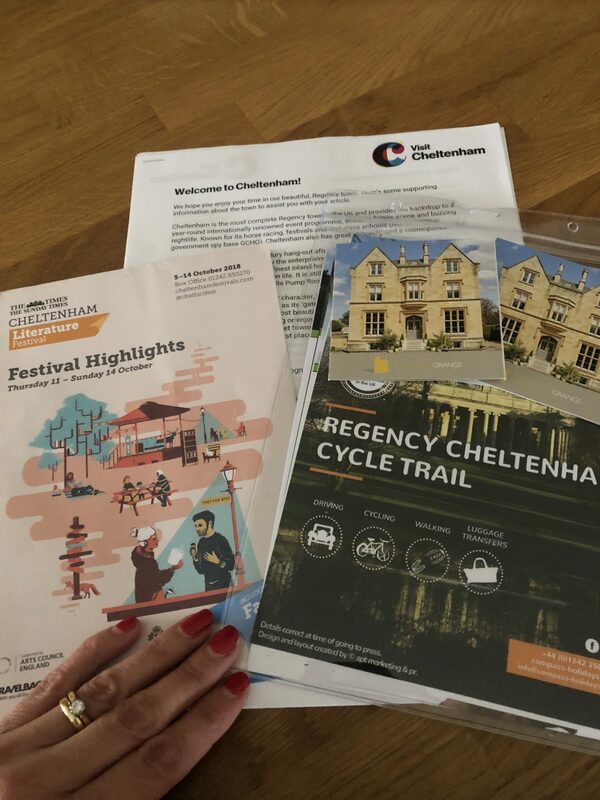 Working alongside Visit Cheltenham, The Bicycle Hub ‘Regency Cheltenham Cycle Trail’ gives visitors to Cheltenham the perfect opportunity to explore the town on two wheels with bike hire, a mobile app and a tour pack being just £20.00. It’s a fascinating six-mile route, which takes you along Honeybourne Line, through Pittville Park and on to the Promenade and right into the centre of Cheltenham. 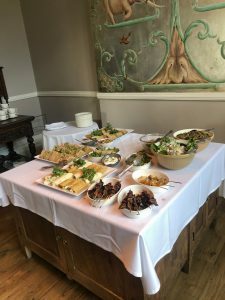 After an energetic morning, the cyclists were looking forward to lunch at the fabulous Cotswold Grange Hotel and they weren’t disappointed. Chef had prepared a lovely selection of freshly made prawn and avocado and egg with watercress sandwiches, vegan quinoa wraps, butternut squash and venison with mushroom kebabs, a range of delicious salads and even some vegan spiced haggis with pickled sauce! With such a wide choice of fabulousness, there just wasn’t a plate big enough to squeeze everything on to. 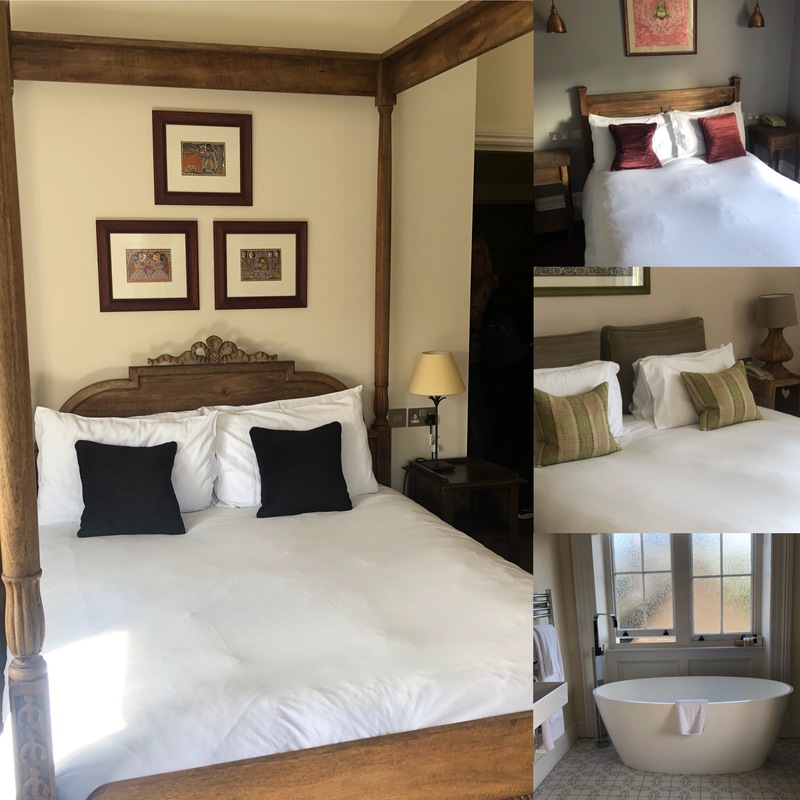 Following lunch, we were invited on an exclusive tour of this charming boutique hotel, which boasts 20 stylish and luxurious ensuite bedrooms. 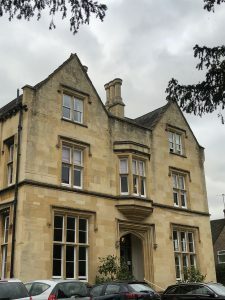 I was captivated by some of the beautiful architecture and features of this early 19th century mansion house. There are some very beautiful yet simple commissioned pieces of furniture in each room and there is attention to detail in every respect. 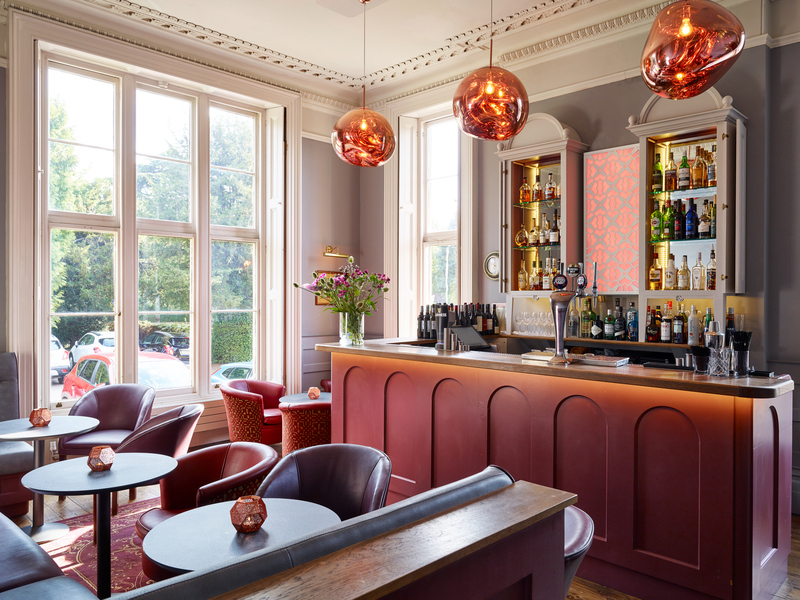 The current owners took over the hotel in 2007 and since then they have added modern, contemporary touches whilst sympathetically maintaining the classic style and character of the original 1830’s building. The furnishings in each room were soft and inviting and I could quite easily have sunk into one of the comfy chairs in the bar area to drink my body weight in gin from their fabulous collection. I’ll definitely be holding that thought for my next visit! 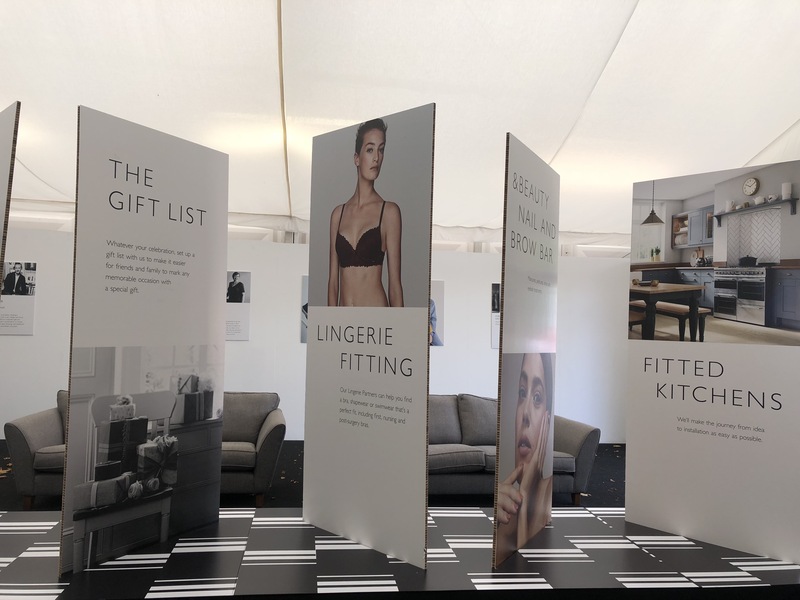 After lunch, the sun was out and it was time to work off those sandwiches and wraps with a gentle stroll into Cheltenham and a look at what free events were on offer at the Cheltenham Literature festival. 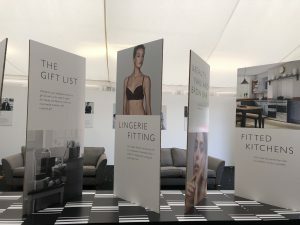 I couldn’t resists a sneaky peak into the John Lewis tent to find out more about what we could expect from the new store and also a good browse around the Waterstones tent where daily book signings were taking place. No celebrity spotting for me this time but it was certainly worth taking a look at the thousands of books available for purchase! Thank you to Visit Cheltenham, The Bicycle Hub and all at Cotswold Grange Hotel for a lovely bloggers day out in the fabulous Regency spa town of Cheltenham.